Daikin Aircon is one of the reputable aircon manufacturers of high quality air-conditioner units in the Singapore air-conditioning industry. Air-conditioner works the same as other machinery such as engine or motors where regular aircon servicing can keep your units in good working condition and ensure smooth operation. I am sure that you do not want to experience a malfunctioned aircon units and suffer in the unbearable heat in Singapore. At Wei Wei Aircon, we understand the troubles and inconvenience that you experience when your aircon is not working. Hence, you do not need to worry if you are facing aircon problems with your air-conditioning units as our technicians are experienced in different types and models of your air-conditioning system. Hence, do not hesitate and book a daikin aircon servicing appointment with us today to keep your air-conditioner in good condition and performance. 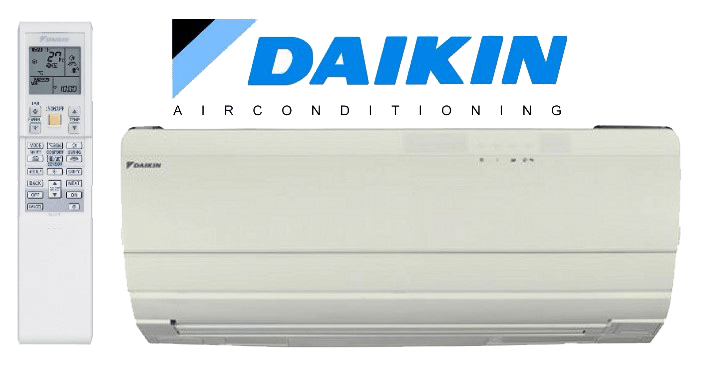 Daikin aircon Singapore have incorporated the latest technology in the industry into their air-conditioner system in order to manufacture a quality air-conditioning system. However, Daikin air-conditioning system is no different from other brands where regular servicing and maintenance is required to maximise the performance of your air-conditioner units. At the same time, it will also increase the cooling efficiency of your system which can help you to save on your energy consumption. Since air-conditioner units are an essential electrical appliances that provides cooling air to your home or office. It is important to keep your units in good condition to prevent it from malfunctioning. However, if you have ever been in a situation where your units is not working, it is advised to engage a professional and experienced Daikin aircon repair company in Singapore to fix and rectify your air-conditioner problems. It is important to engage an aircon service Singapore company that is reliable and that you can trust on. As an experienced air-conditioning servicing company in Singapore, our technicians are also well trained in Daikin repairs and maintenance where we are able to troubleshoot and repair your Daikin air-conditioner efficiently. When our technicians repair your air-conditioner, they will first check and identify the problem that you are facing, then starts to troubleshoot the system and diagnose the cause of the problem. After that, they will provide advices to our customers such as the possible solutions to rectify and fix your aircon problems. We believe with our experiences and quality of service, we are able to meet your air-conditioning needs for your Daikin air-conditioner system. Other than providing repairs and servicing, we also provide quality daikin aircon maintenance services for all residential, commercial and industrial premises. In order to provide quality services for your Daikin air-conditioning Singapore, our professional technicians is equipped with appropriate tools to accurately diagnose the technical problems that you are facing with your. With our experienced technicians, we are able to provide satisfactory Daikin air-conditioning maintenance for your units. We ensure that different parts of your system is cleaned properly to ensure a cleaner and healthier living environment for you and your family. Most importantly, ensure that the air you breathe is clean and fresh. In addition, with our Daikin aircon maintenance contract, our staff will keep track of your servicing records and remind you when your air-conditioner is due for regular service. You no longer have to worry if your air-conditioning requires servicing nor experience the hassle in searching for an aircon contractor in Singapore repeatedly for each service. We will be your one stop aircon daikin air-conditioning contractor in Singapore and you can trust us in up keeping your Daikin system while you sit back and relax the cooling air. Do your Daikin air-conditioner units lack of regularly servicing or maintenance for a very long time? If your system do not have regular servicing or maintenance, it can be detrimental to the condition of your aircon units. Hence, in this case, it is advised to engage a professional aircon company to perform Daikin aircon chemical wash for your units. Our experienced technicians have years of experience in performing aircon chemical cleaning jobs for different types of units such as wall mounted aircon, ceiling cassette aircon, ceiling suspended aircon, ceiling ducted aircon and many more. Thus, if you require aircon chemical washing for your Daikin system, look no further and contact us to book a chemical cleaning appointment with us today. With the technology innovation from Daikin air-conditioner, it have been getting popular among households that are looking for aircon installation. Daikin air-conditioner is one or the popular aircon brands when people are looking to install their air-conditioning system. Daikin system is well-known for its good reputation and quality in the air-conditioning industry which is why many people are inclined in choosing them for their home or office. With the latest technology such as wireless controls and being more environmentally friendly, we are able to save energy and the Earth by installing Daikin Aircon. Hence, if you are looking for Daikin aircon replacement or installation services, feel feel to contact us. Daikin VRV system is widely installed in commercial buildings for their multi split type of aircon units such as the common Daikin wall mounted, ceiling cassette and many more. Due to the Daikin VRV system flexibility and ability to support different kinds of aircon units in various premises such as buildings, landed properties, condominiums and many more. It have been one of the popular choice for their Daikin air-conditioner system over the years. At Wei Wei Aircon, we specialise in various types of system such as Daikin VRV I, II III and the latest IV system (VRV 1, 2, 3 and 4). Hence, regardless you require Daikin VRV servicing, repair, maintenance, chemical wash, cleaning services or installation for your home, office or buildings, we are able to meet your air-conditioning needs in Singapore. Get in touch with us for quality aircon services for your air-conditioning system today. If you are looking for Mitsubishi aircon servicing in Singapore, you can look for us too. Regardless if your system require regular aircon servicing or require repair, we are here to assist you in your aircon needs. With teams of reliable experienced technicians and staff, we are confident in providing quality aircon services and meeting your air-conditioning needs in Singapore. Providing prompt and satisfactory services is what we aim for when we serve you. With the increase of innovative technology in the air-conditioning industry such as Daikin air-conditioner, we constantly provide regular training to keep our technicians relevant to the industry which will help us in providing quality and satisfactory aircon services to your air-conditioning system in Singapore. Do not hesitate and call us for your Daikin aircon repairs and service in Singapore. If you are still looking for a reliable Daikin air-conditioning contractor for your Daikin system, give us a call anytime and we will fix an aircon servicing appointment for you. Do not neglect the importance of engaging a well-trained and qualified technicians for your air-conditioner units. It is best to hire experts that have adequate experience, technical knowledge in repairing and servicing your units. If you are looking for yearly Daikin air-conditioning maintenance servicing, feel free to contact us for a servicing quotation today.